shanlter was awarded the Basic Barnstar by liz for their work in this research note. shanlter was awarded the Photo Documentation Barnstar by Vickykq for their work in this research note. Banlantun is a village located in Chongzuo City, Guangxi Province, China. The registered population of the villager is 4200. Their drinking water is from Keluan reservoir. This is the 4th time we have visited Banmentun, Chongzuo City, Guangxi Province. Instead of going the old fashioned charitable or the commercial way to help the villagers with the drinking water problems they have, we wanted to try something different this time by working together with the locals to develop and assemble suitable water purifying equipment that would meet their needs. The registered population of Banlancun village is 4200. There are 5 smaller villages in Banmencun. 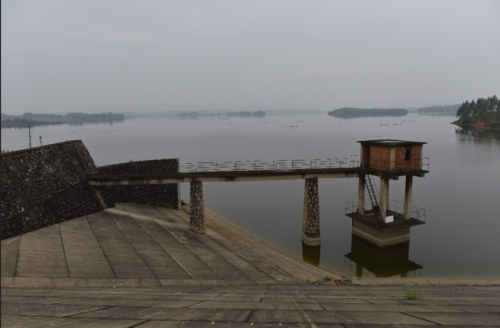 In these 5 villages, villagers in Banlantun and Xiaobutun drink from Kelan reservoir, which is the supply reservoir for 18000 people who live in 6 villages nearby. Projects like building up water towers, digging deep wells and setting up generator rooms have failed to solve the drinking water issue. The local villages have tried to file appeals and complaints but it doesn't seem to be working out. The Kelan reservoir is the backup water source of Chongzuo City. Even the local government has already banned farming fish in the reservoir since 2015, many local farmers are still farming fish in cages here. Intensive farming causes excessively high levels of nitrides, phosphides, organic substances and results in a serious algae breeding problem. The water in the reservoir smells strange and fishy, especially in summer. The design of the only waterworks in the village, which in fact is only a pond with occasional chlorination, is seriously flawed and the water quality during the rainy season is very bad. At the same time, the farms and eucalyptuses planted around the reservoir bring on a possible risk of pesticide pollution in the water. The Guangxi Marine Monitoring Station took water samples and did a test on drinking water quality in summer this year. 42 regular items were tested and COD was tested 5.7mg/L, found exceeding. Please note: TOC ( total organic carbon ) is over the permitted level. 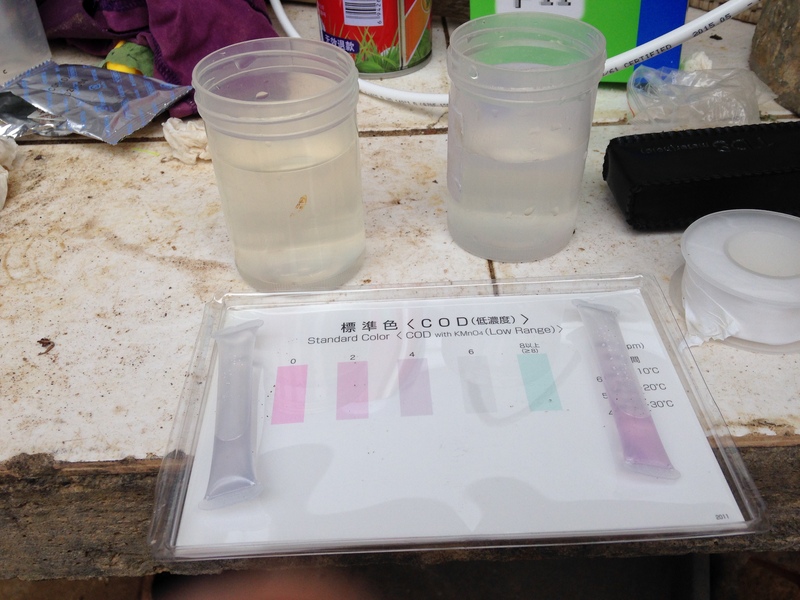 Meanwhile, DBP ( disinfection by-products ) were not found in the sample, which means the water in the village has not been disinfected recently. All in all, every year from November to May next year, the water has a yellowish color and it smells like rotten eggs. The turbidity is about 5NTU and the COD level is over the acceptable range. Even the local government cleaned up all the pollution sources in 2015, pollutants have been accumulating in the reservoir for a long time and it will take more than 5 years for a natural course of self purification to work. First of all , the idea of drinking such filthy water is repulsive and emotionally unacceptable for the villagers. Those who can afford to have already started digging wells and purchasing barreled water. Second of all, it puts the local villagers at increasing health risks. It is very hard to predict what kind of diseases integrated pollution such as COD will cause in the long run. In the past 4 years, we have been trying to work out a solution for water drinking issue in rural areas in China by making charitable donations, which was proven to be only a short term solution. 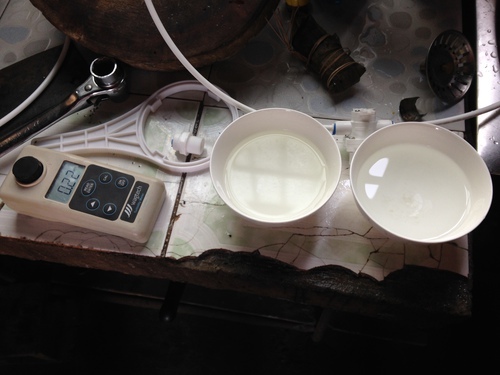 Meanwhile, the commercial market fails to produce products which would meet specific needs of those who live in such rural areas . .
For this specific problem with reservoir water in southern Chinese rural areas, we are hoping to design a purifying device which suits local conditions. It should be easy to maintain and reasonably cheap. The villagers can learn and understand more about relevant theories and technology about water purifying by themselves. Some can build up their own water purifiers and even benefit from it financially by helping others set up devices. All they need to do is to test the water quality on a regular basis to decide when to change the filters. The more ideal situation would be where the villagers could develop more functions for the purifiers when the water quality changes. Our solution plan focuses on three major perspectives: senses, COD (organic substances) and turbidity. 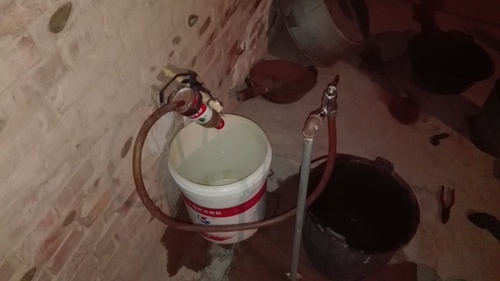 Ever since we started our project, we have been trying to achieve the following goals: the cost of the purifiers should be as low as possible; they should be not only be easy to install, use and maintain, but solid and durable; the villagers should be able to tell when to replace the filter by themselves. To make sure the results are technically valid , we also invited Professor Chii Shang from the School of Engineering of HKUST and Professor Fang Jingyun and her student research team from the School of Environmental Science and Engineering of Sen Yat Sen University to join our researching process. They were involved in our analyzing process on the water quality issue. 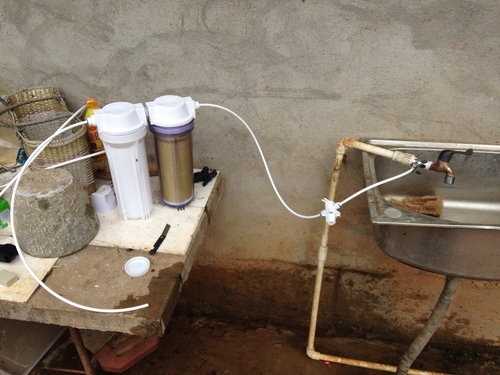 At the same time, Professor Chii Shang's student research team developed water purifiers specifically based on the particular drinking water issue of this village. Since the water is too muddy, especially during the rainy season , we eliminated the possibility of using polypropylene cotton as our filter material as it needs to be replaced too often. You may have to change the filter once or twice a day during the rainy season. What's more, polypropylene cotton cannot be cleaned and reused, which is not environmentally friendly at all. A 0.5 micron ceramic filter can remove most of the tumidity and visible matters from the water. You can reuse the filter after it is washed and cleaned. It's expected to serve for a year and it costs approximately 20 RMB only. A ceramic filter can also can remove most of the algae that cause the funky and fishy smell in the water. To deal with the exceeding COD level and the rotten egg smell (hydrogen sulfide), we use the activated carbon filter, which has a better ability to remove organic substances and hydrogen sulfide from the water. We suggest that the activated carbon filter should be replaced every 2 or 3 months ( since activated carbon has a limited adsorption capacity) . Still, at the same time we will keep track of how water smells and tastes after filtered , as well as the COD level of the water, to decide how often we should replace the filters. When it comes to selecting the right type of activated carbon as our filtering material, we specially ordered acid pickling coconut shell activated carbon from the Chinese distributor of Calgon Carbon Cooperation. We don't trust the Chinese domestic suppliers for the fact that the qualities of their products vary greatly (Some even use coal as filter material) and some purifiers were found having arsenic levels that exceed what's permitted. Professor Chii Shang's research team was hoping to recycle bagasse and convert it into activated carbon ( since sugar cane is a very popular plant in this area ). This theory is yet to be tested in the future. Professor Chii Shang's research team also made iron oxide particles in the lab, which has a better ability to remove hydrogen sulfide from water. Iron oxide can be added into the activated carbon filter to remove the intense rotten egg smell in the reservoir water during winter season. For this trip, we didn't add in iron oxide particles since the activated carbon filters were able to get rid of the smell in the water. This theory can be tested in the future. Our earliest design was to use water bottles or cups as containers for the filters and common pipe materials purchased from local hardware stores to connect those containers. It is the least costly design and we applied this design at a village with high fluoride content in Shanxi province. Though we had to give up on this idea after testing it for a reasonable time in the office. It is not a user friendly design if you have to use it for a long time. Thanks to Alibaba the online shopping site and the fact that we can find all sorts of water purifying product suppliers, nowadays it is possible to purchase all the parts you need for making a water purifier. We ended up buying a set of solid containers and pipes. 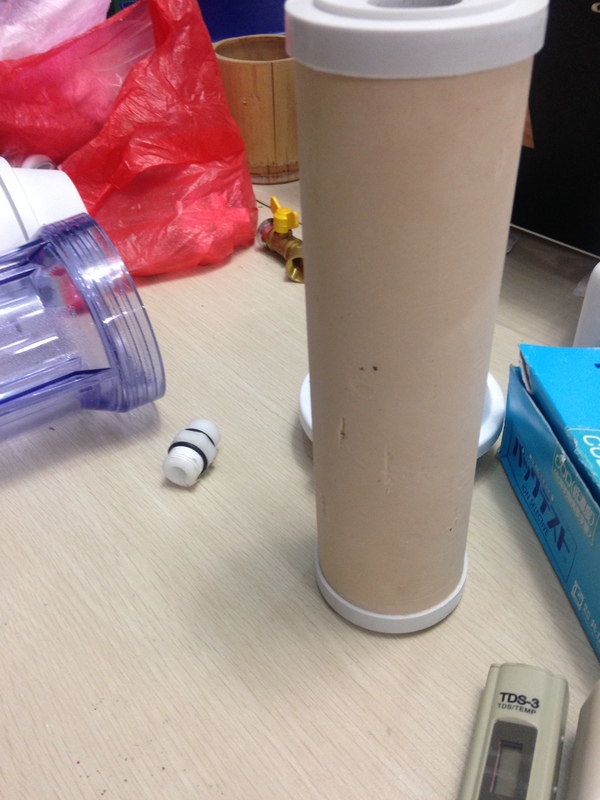 It is easy to change the filters inside the containers. They are easy to be put together and added with additional parts required in the future. 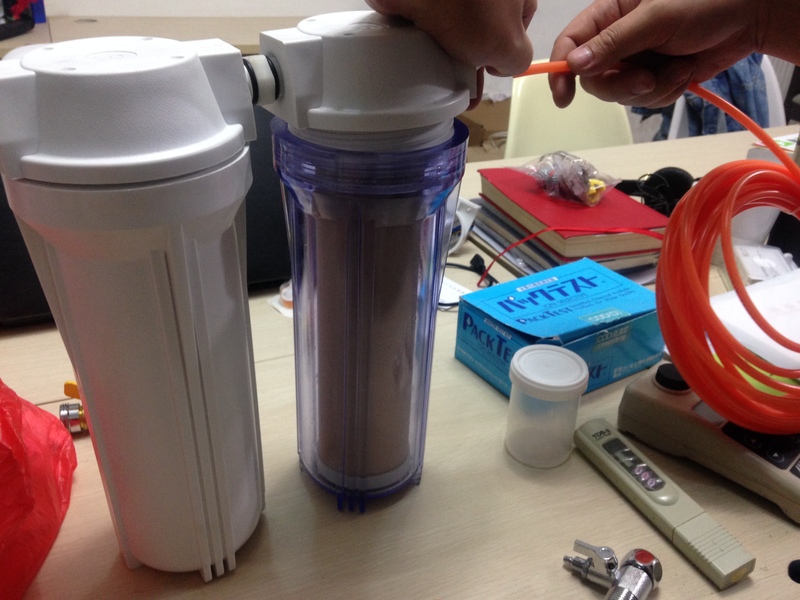 Resembling a Xiaomi water purifier (a famous Chinese brand), we attached the purifier to the hydrovalve instead of the lower pipe with a three-way pipe threader. In order to make sure that water stays in the filter for enough time, we put a pressure relief valve on the outlet pipe to control the flow rate and accommodate different water pressures. For some certain reason, most commercial water purifiers in the market don't have this feature, which is something we don't quite understand. 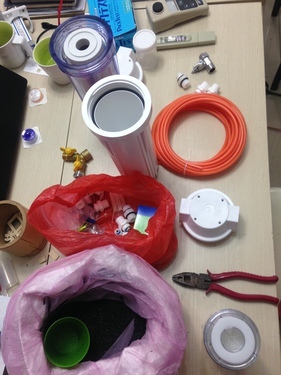 This set of equipment costs 80 RMB (1 RMB = 0.15 USD), including two containers and several pipes needed. To sum up, it costs 150 RMB to buy all the materials needed at the first place and an extra 50RMB to replace the filter materials once a year in the future. For the record, neither did we pursue higher levels of processing nor use hyperfiltration membranes or reverse osmosis membranes. Our goal is to purify water so that it will match up to the permitted standards. If the villagers have higher requirements for water quality, they can develop more features on this basic model by themselves. Every time we visited the village, we were greeted by different people and this time it was Wei Wenshu. Wei had some wine during lunch and he had this rosy color and happy smile on his face when we met him. In order to solve the drinking water problem ,which resembles all the other typical situations in almost all of the villages in China, he asked us to help them in a centralizing way -- digging up deep wells, building up pipelines or water treatment plants to purify the water from the reservoir. We told him we were not able to help him with that since it would cost hundreds of thousands RMB and we couldn't afford to. However we could show them how to solve this problem by themselves and teach them how to purify water on a residential basis.
" We are just farmers and we have no idea what to do. The government should take care of it," said he. " You should talk to a government official. It is useless telling us about it," said he when we tried to show him our solution plan. We decided to test the device first then we would continue with the conversation. 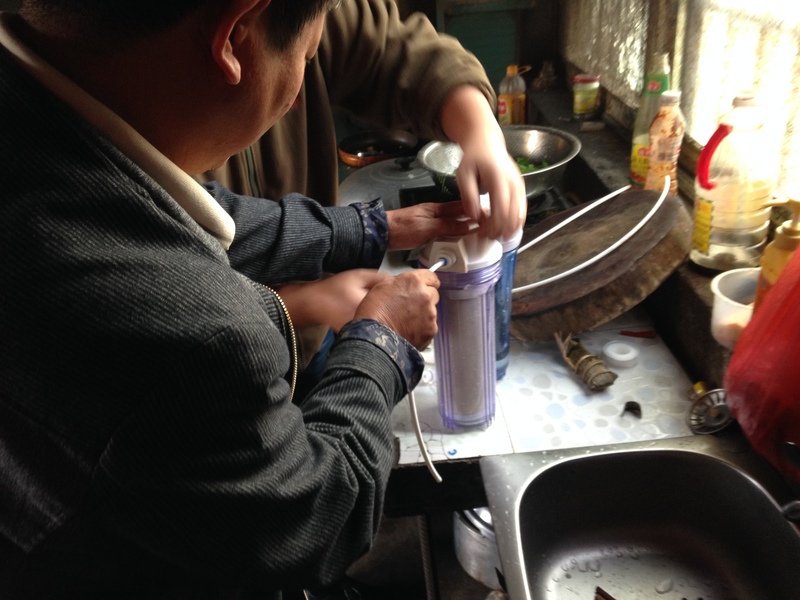 We set up our first testing purifier at Mr Huang's, who was currently in charge of water supplying in this village. The water coming out of the purifier was so much improved on senses, turbidity and COD level. The result was great and we were relieved. Because of the satisfying result we got, we didn't bother to add the iron oxide particles into the activated carbon. The second testing purifier was set up at a local butcher, Wei Yangxi's house ( the purifier was later taken down and installed again at Secretary Wei's house). After filtering for a few minutes, we found very little change on the tumidity of the water. Later we figured out why -- the ceramic filter was broken and the container was leaking. So we put in a different ceramic filter and rearranged the order of the containers. Soon the tumidity went down and settled at about 0.2-0.3. Something very interesting happened while we were testing the purifiers. A villager came over with a bowl of water and said he wanted to "quiz" us and see if we could tell what kind of water it was. We tested the turbidity of the water and the result was approximately 1. It didn't seem like it was from the village and it should be from a water purifier. The villager told us we were right. It was some barreled water purchased from Chongzuo, and it was 6rmb for one barrel. After testing the water, we still needed to talk to the villagers to promote our ideas. It was such a tricky task that it made our brains hurt just thinking about it. We were not planning on selling our purifiers or giving them away for free. We wanted to start by teaching a few eager learners how to purify water. They would be the first ones to get to drink clean water in the village. Later they could motivate others to join them. However, it was harder than we thought it would be to find the right people. We tried to make conversations with anyone who gathered around us to show them how water purifiers work. Most of them thought we were just manufacturers who were trying to sell them our products . Many people left after simply taking a look out of curiosity. We managed to teach Wei Wenshu how to set up the purifier with an effort. However, to our disappointment, after building up his own purifier, Wei's first reaction was to give us 100RMB and called his relatives to come over so that we could set up some purifiers for them as well. Maybe we were pushing too hard. We decided to put this on hold and see what would happen after running the test purifiers for a while first. Later we left the village, having no idea where our project was heading. Many rational urban citizen don't use water purifiers. Relevant technologies are very well developed. Nowadays the whole industry is all about marketing and publicity. Concepts like " Honeycomb particles activated carbon", "super purified mineral water", "intelligent memory filter" and " anion small molecule water" are hideously annoying. When businessmen are bombing urban citizens with overwhelming ideas and concepts, the citizens in rural areas , who are facing actual actual drinking water problems, are not getting the solution they need from the commercial market. The price for purchasing and maintaining the purifiers is high. Still they are not guaranteed to solve the problems. Unlike urban areas with central waterworks producing drinking water with stable quality. The safety of drinking water is an issue all over the country. In northern-west China, people drink from wells and the major problems they have are a bitter and salty taste in the water as well as exceeding level of fluorides and arsenic content out of natural causes. In southern Chinese rural areas, agriculture pollution causes organic substances to percolate into surface water and ground water. Pollution sources are more common in villages with factories and plants around them. What's more, the filters inside commercial purifiers are not replaceable. For example, activated carbon has been used to purify water for a long time. 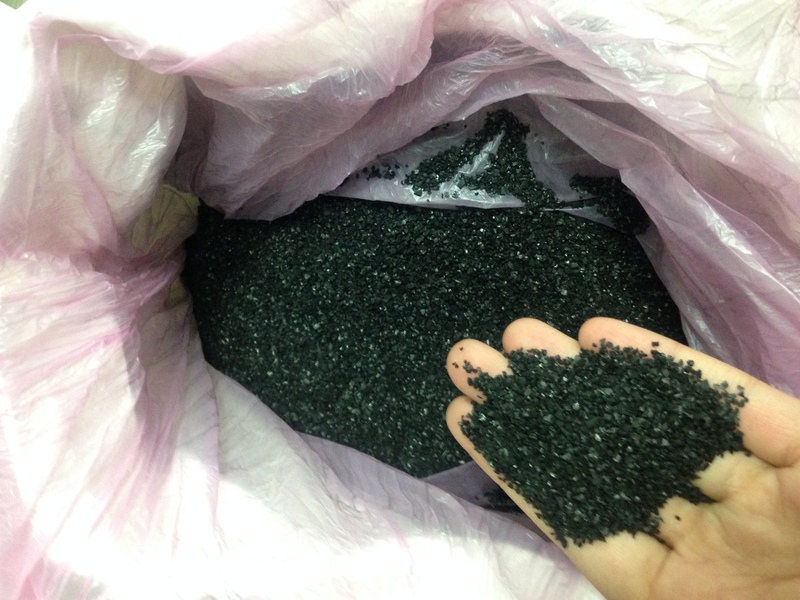 It only costs 2 to 3 RMB to purchase 200g of domestic activated carbon produced by the best manufacturer in the world. With nice outer casings, purifiers can be priced up to 50, 60 RMB by manufacturers. That is how so much waste is produced. Friends and relatives of mine will sometimes consult me on water, since I have been working in this area for several years. Questions like_ " Is the tap water in my house suitable for drinking", "Which brand of barreled water is good? "_ and_ " Which one is better, mineral water or purified water"_ are often asked. When asked questions like these, I will usually explain standard regulations and theories of water purifying. I will tell them when it comes to water, there is no absolute certainty and they have to observe and test the water themselves to decide. And then they will look at me in disappointment and say " well, I am not an expert. How will I know". It's just all basic science. People with normal IQ will be able to figure out the basis by researching about it for 1 or 2 days and they won't be tricked by commercials. However, we come from a long line of conformism and blindly following experts and authorities and it is a tradition hard to break. We complain about environmental problems and the living environment we are in. However, whom do we count on to solve those problems? Aren't we all part of those environmental problems? The public tend to think that the government causes environmental problems and they should be responsible for it. It gives the government more reasons to hire more and tax more. Would that be a reasonable solution ? very cool. good question regaring the water pressure control, I've often wondered that myself.